February 5, 2019 (New York, NY) More New Yorkers will have the opportunity to attend theater programs through a new partnership between the Jerome L. Greene Foundation and The New York Community Trust that provides $1.5 million in grants to 12 theaters in the Bronx, Brooklyn, and Manhattan. The grants, administered through the JL Greene Arts Access Fund in The New York Community Trust, expand free and discounted ticket programs for theater, musicals, and plays—all with the goal of helping to bring the performing arts to underrepresented audiences throughout New York. The program also will help theaters create sustainable programs to expand their audiences for the long term. The fund was established by the Jerome L. Greene Foundation—a private, family foundation that supports arts programs in New York—and is managed by The New York Community Trust, the region’s community foundation. It is among a growing number of funds The New York Community Trust manages for private foundations that put The Trust’s broad expertise to work for a better New York. The initial round of one-year grants are awarded to 12 theaters: Apollo Theater, Atlantic Theater Company, Billie Holiday Theatre, Classical Theatre of Harlem, New York City Center, Playwrights Horizons, Pregones Theater, Roundabout Theatre Company, Second Stage, Signature Theater, St. Ann’s Warehouse, and Theatre for a New Audience. Apollo Theater: The Fund is awarding $100,000 to the historic Apollo Theater to reach 6,500 New Yorkers through its School Day Live, Family Night Out, and Community Access ticket programs. Atlantic Theater Company: This award-winning, off-Broadway theater will use $100,000 to expand its Back25 program—a program that has helped diversify the theater’s audiences by providing nearly 1,400 new free or discount tickets. Billie Holiday Theatre: To help expand its free and discounted ticket outreach, the Fund is awarding $100,000 to this Brooklyn theater known for launching the career of the actor Samuel L. Jackson. Classical Theatre of Harlem: With a $100,000 grant from the JL Greene Arts Access Fund, the Classical Theatre of Harlem aims to expand the preview programming for its popular Uptown Shakespeare in the Park program, as well as its digital and email marketing programs. New York City Center: City Center will mark its 75th anniversary of making the performing arts accessible for all New Yorkers by leveraging a $250,000 grant to bring an artist from its stage to perform at community centers in all five boroughs; provide reduced-cost tickets to families, school groups, and young adults; and increase the total audience served by its accessible ticket initiatives. Playwrights Horizons: Playwrights Horizons supports new and emerging playwrights and has a Young Member program that draws diverse audiences through low-cost tickets. With its $100,000 grant, the organization aims to increase its young membership and student memberships, develop a loyalty program to increase engagement and retention, and work with a consultant to conduct focus groups with its younger members. Pregones Theater: This Caribbean and Latin American performing collaborative operates theaters in the south Bronx and Manhattan and is using a $100,000 grant to expand its free and discounted events through additional outreach to youth, young adults, community influencers, and heads-of-households. Roundabout Theatre Company: With a $100,000 grant from the JL Greene Arts Access Fund, the Roundabout Theatre Company plans to distribute 40,000 tickets for its ACCESS program and expand offerings for audience members with disabilities. Second Stage: Producing works from living American artists, this theater will use its $100,000 grant to provide at least 11,000 free and subsidized tickets to one Broadway and four off-Broadway shows, expand opportunities for audiences who live outside of Manhattan, and make 400 free tickets available to public library cardholders in New York, Brooklyn, and Queens. Signature Theatre: Over the next year, Signature Theatre will use its $100,000 grant to reach 70,000 theatergoers with reduced-price tickets to its productions and expand its efforts to reach low- to moderate-income households. St. Ann’s Warehouse: This avant-garde theater in Brooklyn aims to reach more diverse audiences and will use its $100,000 grant to distribute tickets through immigrant activist and service organizations and to increase the number of middle and high school students who attend its offerings through free admission programs. Theatre for a New Audience: This revitalizer and producer of classic plays will use a $100,000 grant to provide 4,500 reduced-price tickets to three productions, diversify its audience, and offer “pay-what-you-can” performances. The New York Community Trust connects past, present, and future generous New Yorkers with vital nonprofits working to make a healthy, equitable, and thriving community for all. The Trust is a public grantmaking foundation dedicated to improving the lives of residents of New York City, Westchester, and Long Island. 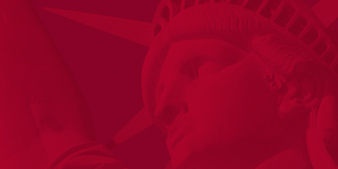 For more information, visit nycommunitytrust.org. For more than four decades the Jerome L. Greene Foundation has supported leading organizations that advance the arts, education, medicine and social justice. Founded by Jerome L. Greene to improve the quality of life for all New Yorkers, the Foundation recognizes the power of innovative thinking by working with leaders who are committed to positive social change. In the arts, the Foundation primarily invests in organizations that provide free or affordable access to live performance through ticket subsidy programs, helping further the transformative experience the arts provide.